Our Spring 2019 semester rush schedule will begin on Tuesday, January 8th and continue until Wednesday, January 30th. Events will take place at the Zeta Beta Tau fraternity house at 900 David Ross Road from 6:00 pm until 8:00 pm on the dates listed below unless otherwise specified. Transportation can be provided. Contact Sam McNeely at (317) 496-6637 or recuitmentzbtaa@gmail.com if you want a pickup or have any questions. More details are below, or at the Rush 2019 link above. July 22, 2017, Indianapolis, IN- (left to right) Luke Wrede, Tyler Kobil, Aaron Beasley, Jacob Phillips (2016-2017 Chapter President), Kyle Genday, Mike Howe, and Adam Krebs (2017-2018 Chapter President) accept the Brummer Cup at the 2017 ZBT international convention. 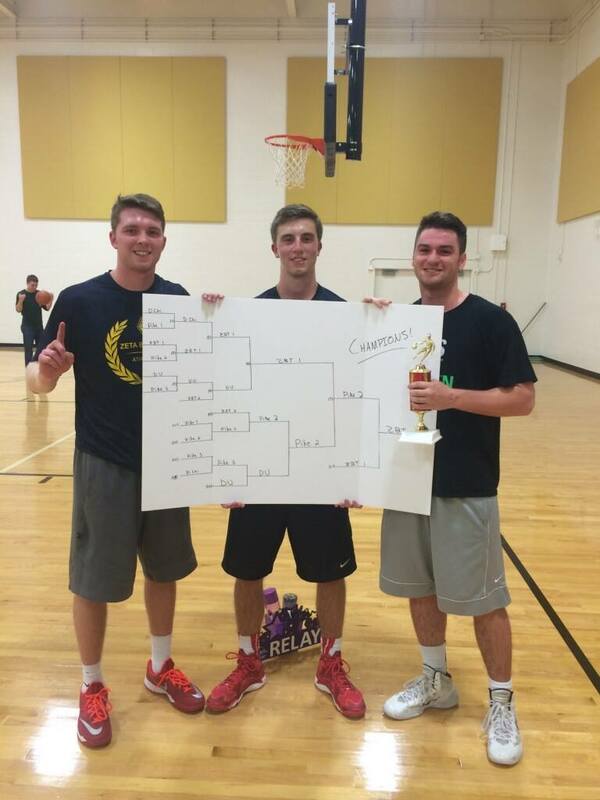 This past semester we have been raising money for Riley Children's Hospital as part of our national Get on the Ball philanthropy. 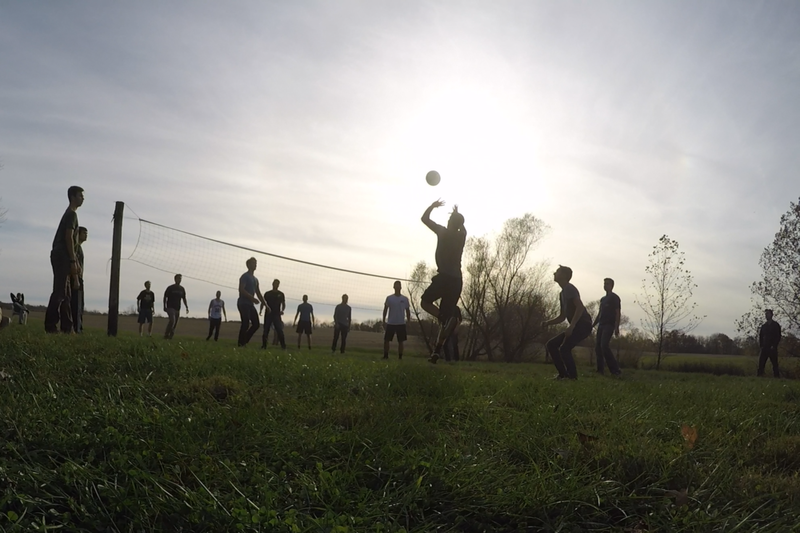 This effort culminated last week during out Get on the Ball week. 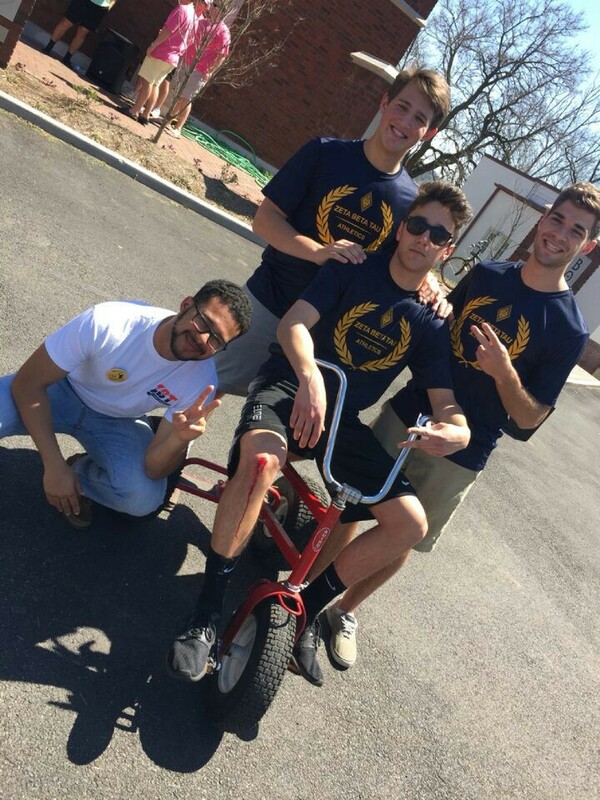 Each brother spent time at our booth raising money and spreading awareness for this great cause. In total, we have raised over $16,000 for Riley's. Welcome Tau Class! Here is a picture of our newest spring class which was initiated on February 3rd. Tau class has 33 members, all of which we think will do great things for our fraternity and community. 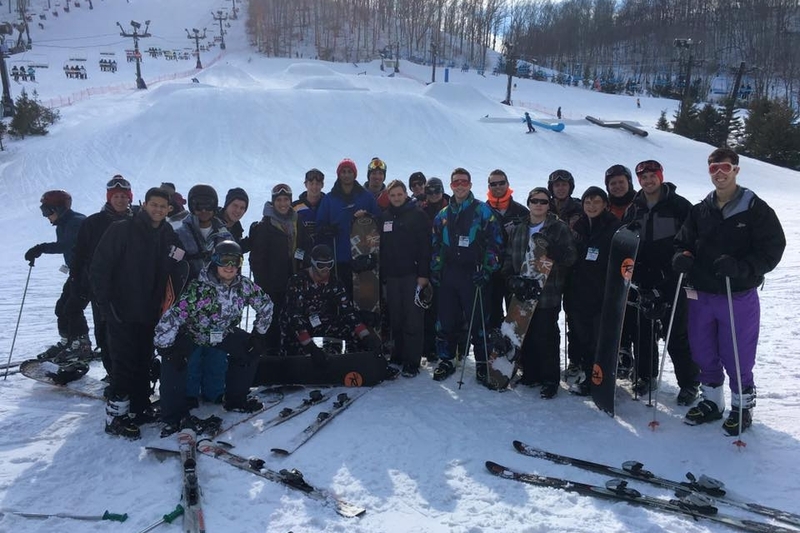 Last Saturday was our annual Brotherhood ski trip to Perfect North Slopes in Lawrenceburg Indiana. 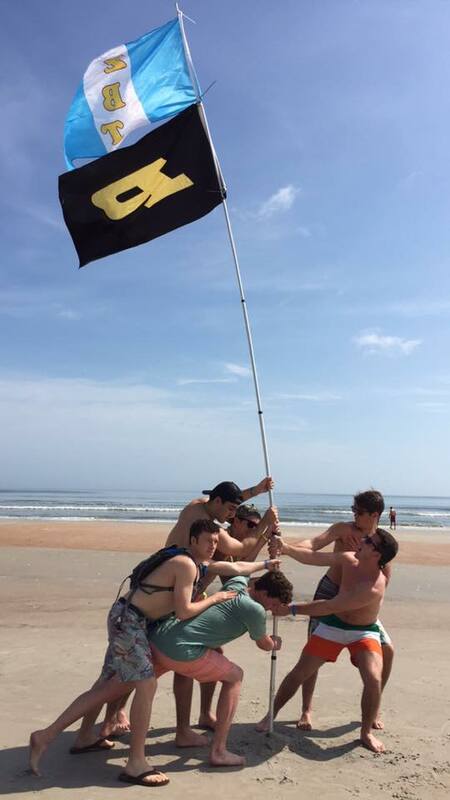 16 brothers in total made the trip. This past Tuesday, we hosted the College Mentors for Kids annual Taco Tuesday philanthropy event. We raised money to donate to CMFK to help provide the necessary funding to allow their organization to help school children in the local community. We had quite the successful turnout at over 300 people! 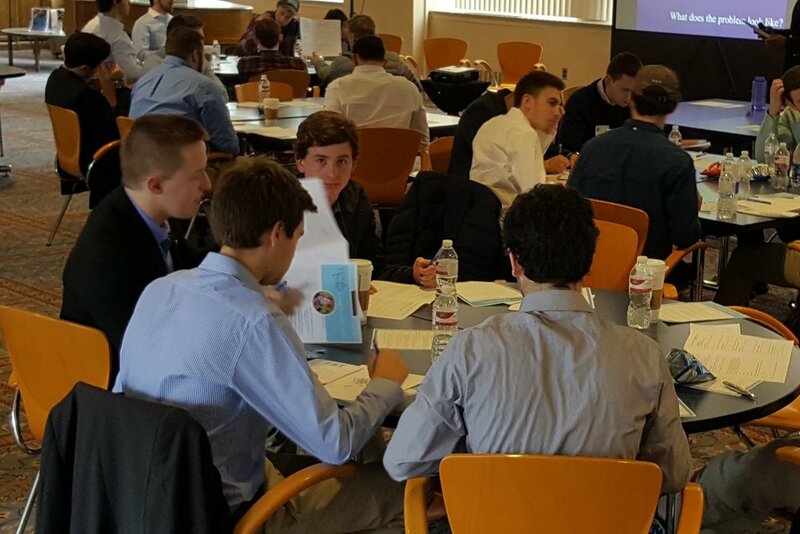 Our philanthropy and service chairmen presented to a group of CMFK students about how we, as a fraternity at Purdue, positively impact the local community. After learning about our first annual Puppies on the Porch back in September, they helped out by making cards to give to Natalie's 2nd Chance Shelter. Our team of Victor Bruzos, Adam Krebs and Richard Jung placed 2nd among all other Greek teams in the A Phi philanthropy golf tournament. They finished 9 under with a score of 63 for the scramble despite bring short handed. We had over 40 brothers sign up this year to help work at the Columbia Park Zoo's annual Boo at the Zoo. Boo at the Zoo is an event for pre-school and elementary school-aged children featuring various booths, costume contests, activities, and live entertainment. Brothers worked a combination of setup, the event itself, and tear down afterwards. 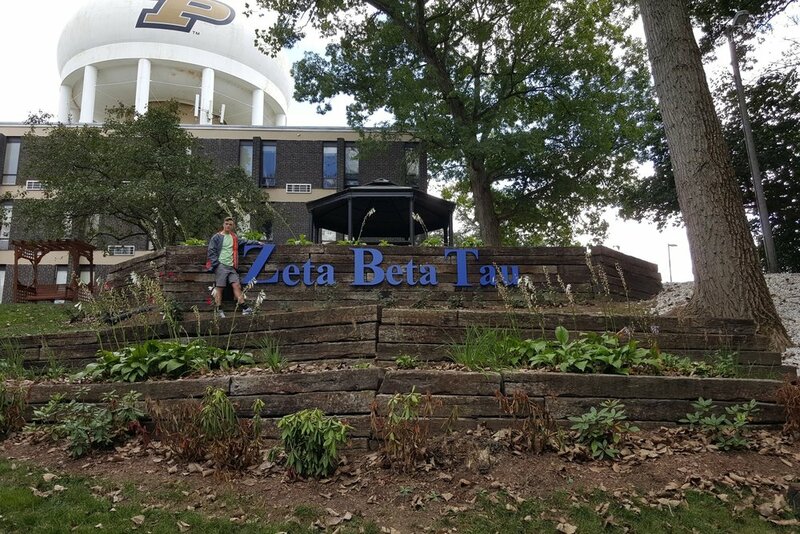 Monday night, the men of the Alpha Alpha chapter of Zeta Beta Tau Fraternity had a dinner in recognition of their first ever group of sweethearts. This group included Gabby Hagerman from Pi Beta Phi, Amanda Smaga from Alpha Chi Omega, Kylie Smith from Delta Gamma, Mary Evans from Delta Zeta Carly Happ from Chi Omega, and Alison Yardley from Alpha Phi. Here are some images from our first annual Puppies on the Porch hosted at our very own lawn! Proceeds benefited Natalie’s Second Chance, a local animal shelter in Lafayette, IN. Dogs of all types and sizes ranging from 2 month-old Chihuahuas and 12 year-old Great Danes were able to make it to our event. Over $1000 was raised in hopes of raising awareness for Natalie’s Second Chance as well as making improvements to its facilities. We hope to keep in touch with the generous people of Natalie’s Second Chance and seek more events in the future! Special thanks to Victor Bruzos and Michael Howe for planning and setting up the event. Welcome Sigma Class! Here is a picture of our newest fall class at our annual Steaks ’n Stogies night at the house. Sigma class stands at 33 members, making it the second largest class to ever have signed at ZBT. Come initiation, all members of Sigma Class will become our very own brothers of our fraternity. We highly anticipate the great things they will do in the near and far future.